Help a blob named Piku complete puzzles in this colorful adventure game on Switch and PC. In Pikuniku, players can solve puzzles as they interact with (and complete tasks for) the game’s citizens. For instance, early on, players will need to use a spider to repair a bridge that Piku had previously destroyed. While Pikuniku has a storyline to finish, users can explore the in-game world at their leisure to uncover secrets and see everything the game has to offer. Users can also keep playing after they’ve completed the story in order to do anything they previously skipped or missed. In addition to playing solo, Pikuniku lets two players team up in the same room to complete cooperative levels and challenges. Pikuniku will be available to download for $12.99 on Switch and PC starting January 24. The game is rated E for Everyone. While Pikuniku is appropriate for younger players, the controls take some getting used to, as Piku can alternate from walking on legs to rolling around like a bean. The game also lacks a tutorial system, so littles may need your help getting up to speed. Check out the first 16 minutes of Pikuniku in our SuperParent First Look below to see this one in action. 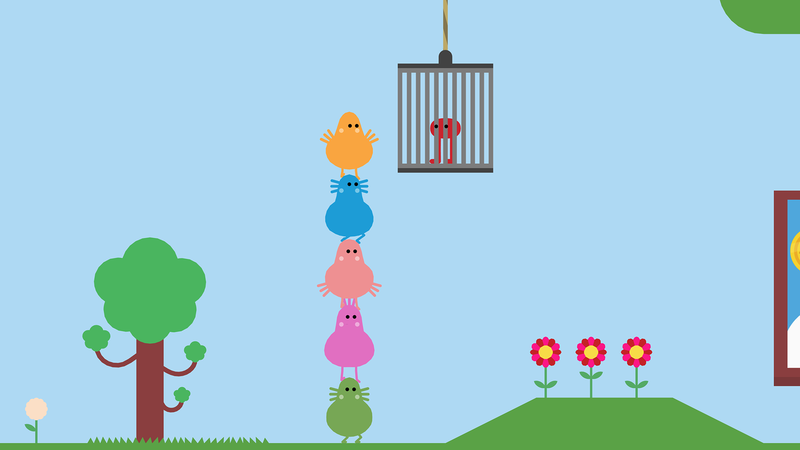 To learn more about Pikuniku, read our review.